The recordings of the old Voice of Prophecy, including music from the King's Heralds and sermons by H.M.S. Richards are available online. 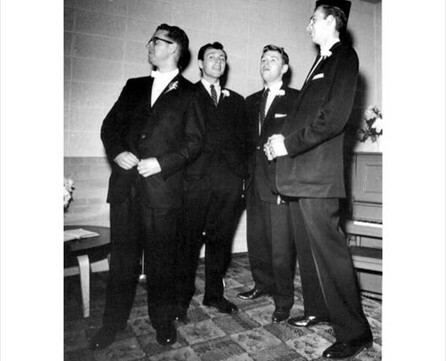 The Men's quartet, the Senior Trio, "A" Choir - "A" Band - were musical groups many of us strived to join during our years at Adelphian Academy. Some students continued on through their lives. 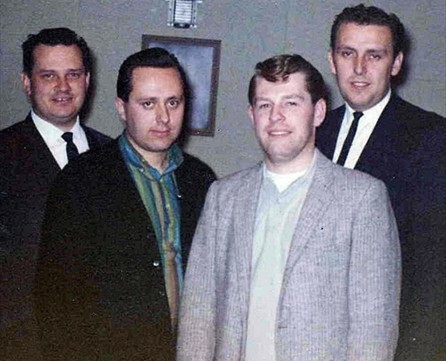 Their Barbershop Quartet took first place at the Holly, MI Kiwanis talent show Left to right: Bud Racine, 2nd tenor, Danny Wilson, 1st tenor, Sid Dudney, baritone and David Peterson, bass. 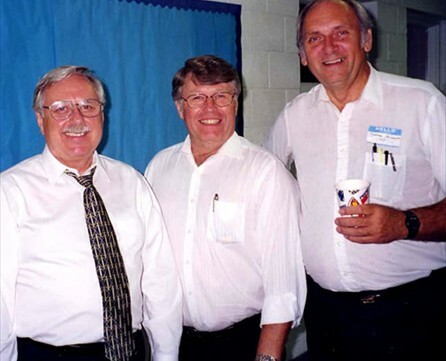 Who can forget the Men's Quartet? 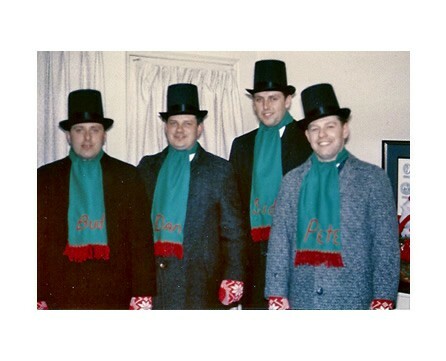 An Academy tradition, the Men's Quartet, although the members changed over the years, remained a favorite with students, parents and academy guests. 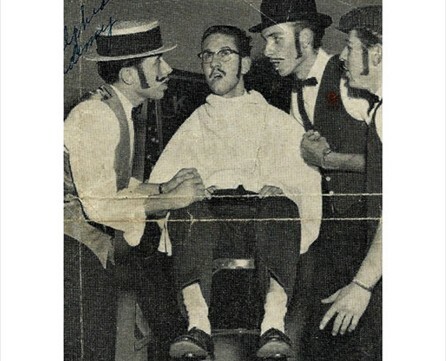 Bud Racine, Class of 1957 and one of the original Men's Quartet members, shares a look back at the beginning inspiration for this popular group and stories of some of the members. If you have a story to tell about your days at Adelphian or since you left, please don't be shy. Share the story. 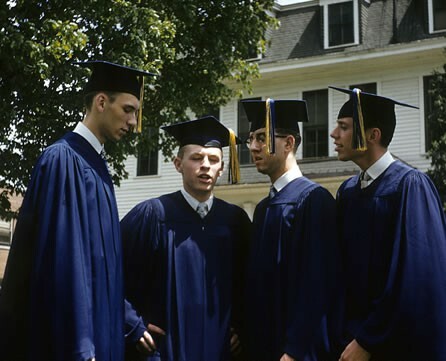 Read other stories about the AA grads who became a clown, the world's best bass harpist, and a talk show host then contact the webmaster to submit your own.